A truly industrial storage piece, the Numbers Wall Shelf by Zuo, makes organizing easy and stylish. 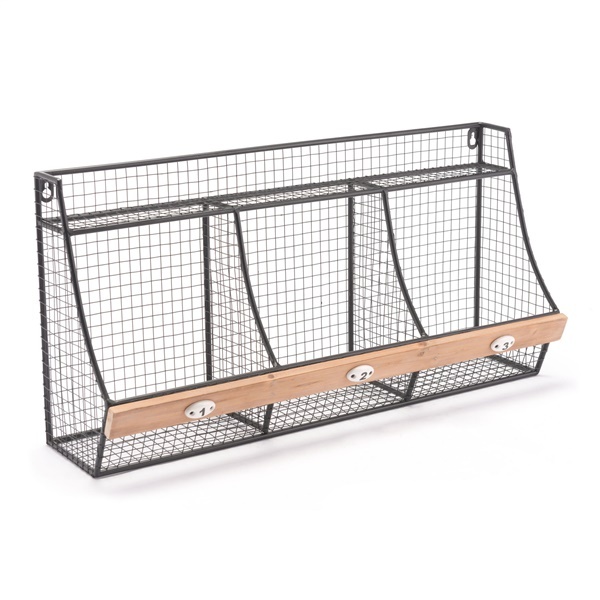 Keep track of mail in the bins crafted of wire mesh and your glasses and keys on the built in shelf. Perfect for your entryway, kitchen and office space alike, it is subtly accented with wood and adorned with numbered slots.